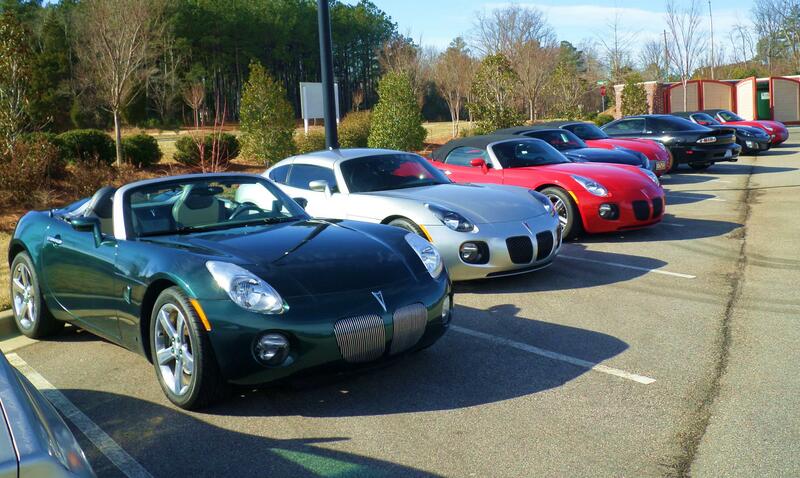 Pontiac Solstice Forum > Clubs, Events & Regional Discussion > Southeast > Kappaccino Raleigh 2015! Do you live in North Carolina's Triangle area? Well, even if you don't if you feel like coming we're not going to stop ya'. Maybe you’ve heard of cars and coffee, but now we have Kappaccino. Get in your favorite GM 2-seater and drive over to Kappaccino, a gathering of driving enthusiasts where proud owners from the Triangle area and beyond meet to talk cars and have some breakfast, a cappuccino, or just a cup of regular joe. And it's all free, minus the drink of course. I hope to see you there. If anyone has new ideas and would like to plan an event this year or if you would like to register a vote for the status quo; post away or come on out for a cup of joe. Oh yeah, Steel/Sand interior. Added K&N filter. Vent tube r/r @ 2850 mi. WindRestrictor added 12/12/06. Added high-tone horn. Painted engine cover. ECM retune 6/15/10. Added Vandesign B/U lite covers 12/07. Re-replaced seal due to recall 27570 mi. DDMProBeam added 7/2/08. Envious Emblem overlays. Kappasphere rear deck rack. DDM tunnel plate added 4/22/09. Solo Exhaust system, lit sills and HID conversion 5/1/10. This month's meet is on the 28th... see you there. Still the last Saturday of the month, still 9AM. I hope you can join us.